Delighting valued clients with RELEVANT CONTENT and APPLICATIONS and ensuring that they keep coming back for more ! 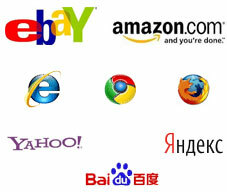 Your users already SEARCH | SHOP | CONSUME applications across the web, now you can share in those revenue streams too ! Increase your revenue and your traffic by giving back to your customers. rSpark has turned my earnings from $0 to a whopping $7,201.66 last month! © 2012 rSpark. All Rights Reserved.